We provide qualitative Circular Threading Dies that are used in the production and thread rolling of fasteners and components. Highly durable, our Circular Thread Rolling Dies provide long lasting trouble free performance without any maintenance. 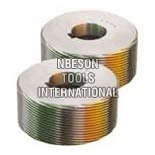 We have firmly positioned ourselves as one of the distinguished Circular Thread Cutting Dies manufacturers and Exporters in India. These thread rolls are used on thread rolling machines. These rolls come in set of two/three pcs manufactured from D2 or D3 material. 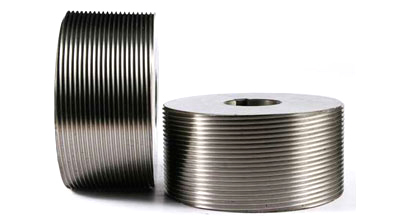 For any specification of thread such as ISO DIN, Whitworth, American, Trapezoidal, ACME, etc. Available in all sizes.